These innovative Chilli Hot Sauce Making Kits contain what you need to make 3 bottles of extremely flavoursome chilli hot sauce. 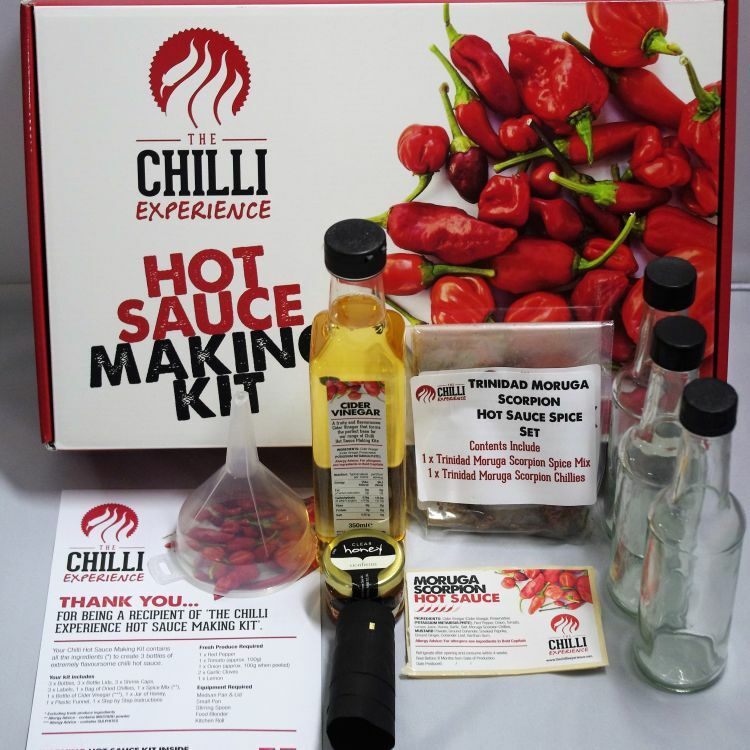 Available in 4 different heat levels - perfect for any chilli lover! All you need is a few fresh ingredients. A unique gift perfect for anyone who loves chilli, cooking, or something a little bit different. These Chilli Hot Sauce Making Kits have a long shelf life and current best before date on ingredients is 30th June 2018. 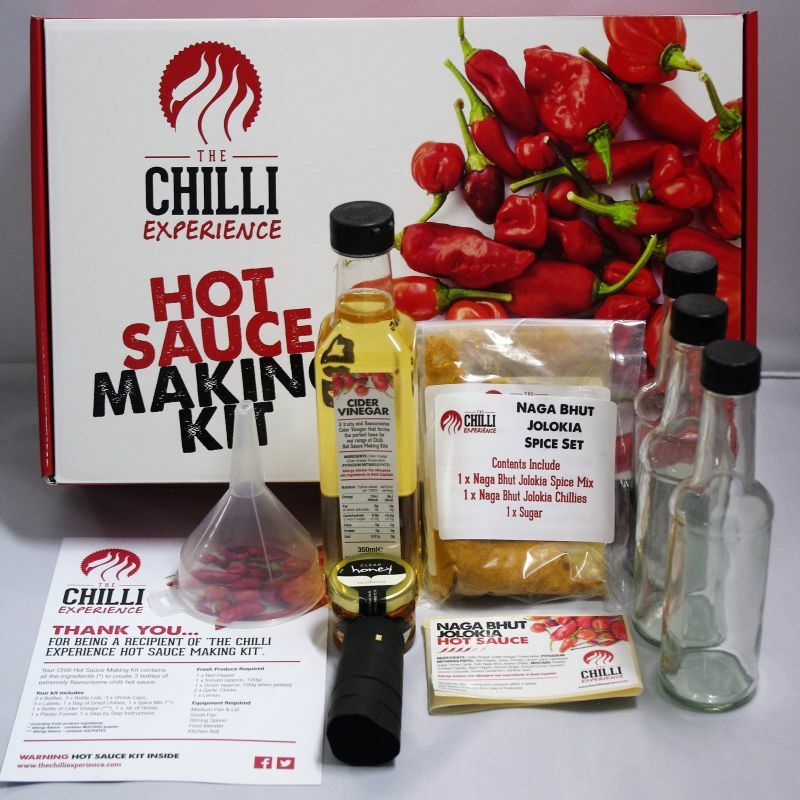 Turn up the heat with a Chilli Experience Hot Sauce Making Kit. Spice Mix contains MUSTARD Powder, Cider Vinegar contains SULPHITES. Looks great as a gift but not used it yet. Looking forward to the HOT sauces in the New Year. Great fun, super gift for those who have everything! Great fun, super gift for those who have everything! Easy to make and delicious too!